Cherukuri Swarnanjali, the chain of jewellery showrooms from Cherukuri Group offers a variety of world class, outstanding and pure Gold ornaments to the company depositors. 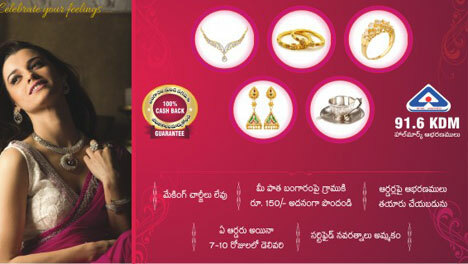 Known for innovative and eclectic design, Cherukuri Swarnanjali also offers a fascinating array of jewellery products like Ear rings, Engagement rings, Diamond studded rings, Bracelets, Chains, Pearl chains, Gems, etc, each a product of quality and richness combined with the cutting edge and avant-garde. Designed in our studio, our Jewellery collection is a place to discover exquisite jewellery, created with meticulous care and attention, by some of the finest jewellery designers. At Cherukuri Swarnanjali, you will be inspired and delighted by our carefully selected offering of beautiful and luxurious products. 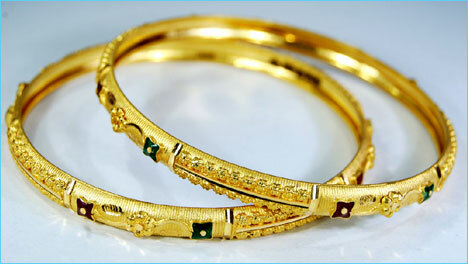 Any Gold Order: 7 – 10 Days Delivery. 100% Weight To Exchange Guarantee.